CLASS DESCRIPTION: Jazz: upbeat, fun, classic jazz while working on performance quality; Contemp: intricate movement and musicality working on dynamics in performance; Hip hop: a combination of groove and lines while getting down and funky; Jazz Funk: a feminine twist on my hip hop class while encouraging confindence; Lyrical: breathy movement that takes up space and makes you feel good. BIO: Hailee began dancing at age 4 and hasn't stopped since! 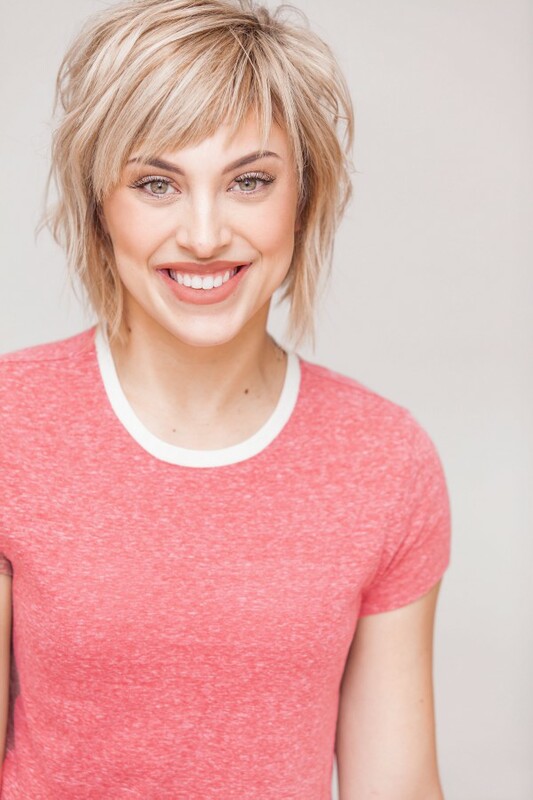 She received most of her training at Infinity Dance in Ogden, Utah where she competed until she graduated high school and trained as a professional assistant for the dance conventions, Hollywood Connection and Radix. Hailee feels blessed to have already experienced many amazing opportunities in such a short amount time. A fan of Odyssey Dance Theater from a young age, she was privileged to be a part of the company and perform in three of their productions including;" Redux-Nutcracker", "Shut Up and Dance" and "Thriller". Hailee competed on the hit show “So You Think You Can Dance” season 12 “Street VS Stage” where she placed in the top 4. Some of the choreographers Hailee worked with included Mandy Moore, Brian Friedman, Travis Wall, Luther Brown, and Tessandra Chavez to name of few. Immediately following the end of the show, Hailee went on the SYTYCD Tour which included 70 cities in the US and Canada. After the tour, she made the move to Los Angeles where she had the opportunity to perform with Jaci Royal’s “Royal Flux” contemporary company and perform on “@Midnight with Chris Hardwick” on Comedy Central. Most recently, Hailee has been performing with the Backstreet Boys in their Las Vegas residency “Larger Than Life” and performing with country duo, Florida Georgia Line. Hailee has also been teaching for years at dance studios and is the newest faculty member on NRG Dance Project. She is honored to be represented by Bloc Talent Agency and can't wait to see what the future holds!